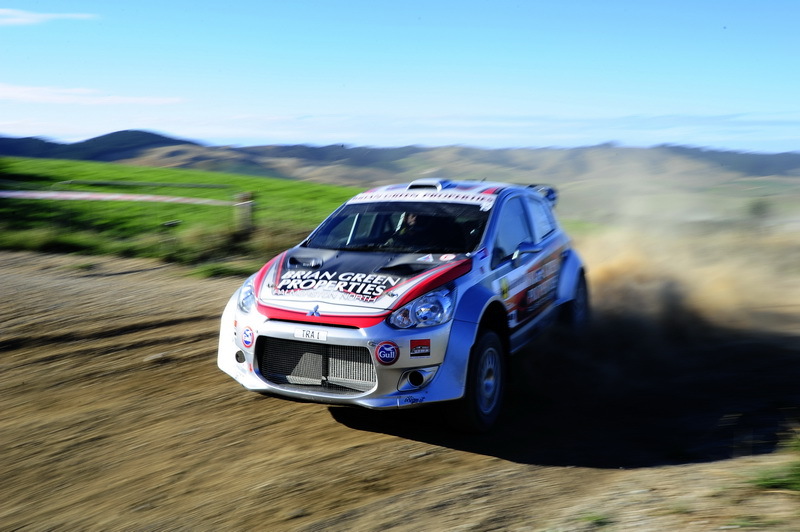 With the opening round of the Brian Green Property Group New Zealand Rally Championship now just one week away, we thought we’d check out each of the classes before the crews hit the gravel in Otago. While last year the Open four-wheel drive class saw a multitude of contenders for victory, the 2018 season sees the return of Hayden Paddon for five rounds scattered around his seven appearances in the World Rally Championship. With his schedule meaning he won’t start round three in Canterbury, finishing each of his remaining five rounds will be key if Paddon is to secure a fourth NZRC title in the Hyundai i20 AP4+ car. One of the biggest changes in the field comes for last year’s runner up Matt Summerfield, who switches from the Impreza he and sister Nicole have run over the past season to the Team Ralliart-prepared Mitsubishi Mirage that has been campaigned for the past two years by Brian Green. Summerfield is not new to the car, having won the Tauranga Clubman’s Rally and Ashley Forest Rallysprint over the past two seasons. That leaves Ben Hunt to uphold Subaru honour. The 2015 champion grew in confidence across 2017 after a disastrous title defence with a new car in 2016, culminating in a victory at Rally Waitomo. With his confidence back from the opening round, Hunt and long-time co-driver Tony Rawstorn will be a hard combination to look past. Seeded four for the season opener, Rhys Gardner made a stunning debut in the ex-Hawkeswood Mazda 2 last year with a podium finish at Otago, backed up by two fourth place finishes at Whangarei and Canterbury. But the back end of the season was not kind to him, destroying his suspension after hitting a rock at Coromandel and rolling out of Waitomo, before electing to miss the season finale. With the experienced David Calder alongside, Gardner will again be a force to be reckoned with on his home roads. A year later than anticipated, Australian-based Irishman Richie Dalton will make his debut in the NZRC in his Ford Fiesta proto car and initial indications suggest Dalton will be fast. Coming off the back of an eighth place at Australia’s World Rally Championship round driving a Skoda Fabia R5 in 2017, Dalton and John Allen will take some adjusting to the New Zealand roads, but don’t be surprised to see them at the pointy end of the field. Last year, Dylan Turner’s new Audi S1 AP4 car stunned onlookers with a sensational second on debut at Whangarei. Since then, a long list of troubles effectively all relating back to a stone through the radiator at Rally Canterbury meant Turner has been unable to show the potential of the car. Returning to Dunlop tyres for 2018 should only strengthen the package which also includes a very busy Malcolm Read and these guys will be fast. Looking to put a torrid 2017 season behind him is Darren Galbraith. After twice winning the Gull Challenge, Galbraith stepped up to the main game for 2017 and after a disastrous Otago that saw a trip through a fence, a turbo failure and then major overheating issues that would hamper him right through to Canterbury, where he would eventually retire from the lead. With a new engine in, he and Rocky Hudson are looking for a lot more luck in 2018. Always the quiet achiever, Graham Featherstone’s 2017 really was a tale of two halves. Fourth place and a power stage win at Otago, plus second fastest in the power stage on the way to fifth at Whangarei left the man they call Feathers leading the championship. Things were looking up at Canterbury, with a maiden NZRC victory within sights before he slipped off the road. From there, Featherstone would only record one more finish at Waitomo, with a soft roll out of fourth place at Rally NZ summing up his season. To say that the 2017 season was one Emma Gilmour would rather forget would be an understatement. Retirements at each of the first three rounds were off set with finishes at the final three, but not with the speed that took her to a Rally Canterbury victory in 2016. However Otago is her home event and if the pace shown at the event last year can be combined with the reliability of the second half of the season and the potential of a well swept road if the rain stays away, could see Emma fighting for a podium. A dark horse for the 2018 season could be Josh Marston in the Holden Barina AP4+. After a season of constant development over 2017, the Barina should now be past a lot of the niggling issues that really held the team back last season. 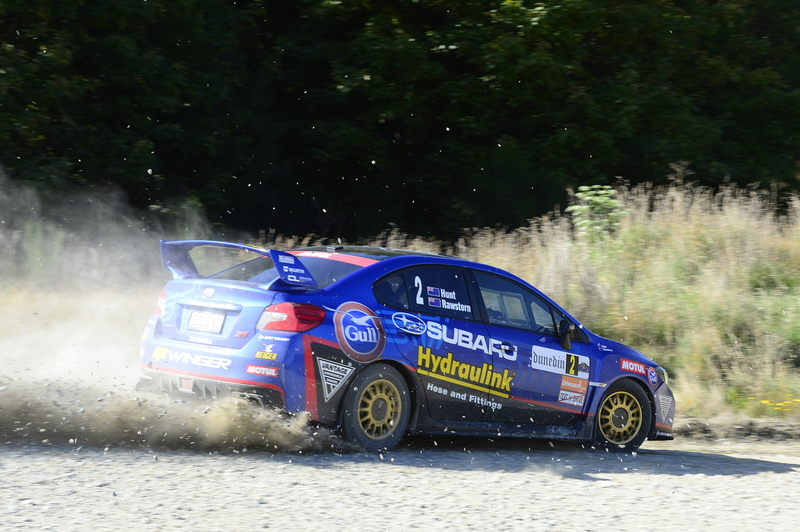 It seems easily forgotten that Marston was in a battle for a podium finish at the end of day one of Rally New Zealand, only to blow a head gasket on the long tour from Raglan back to Tauranga. With some suspension developments, a season in what has been quite a different car and as many miles as anyone in the leadup to the opening round, keep an eye on the Barina. A lot of anticipation lies around the return of Brian Stokes [now withdrawn sadly]. 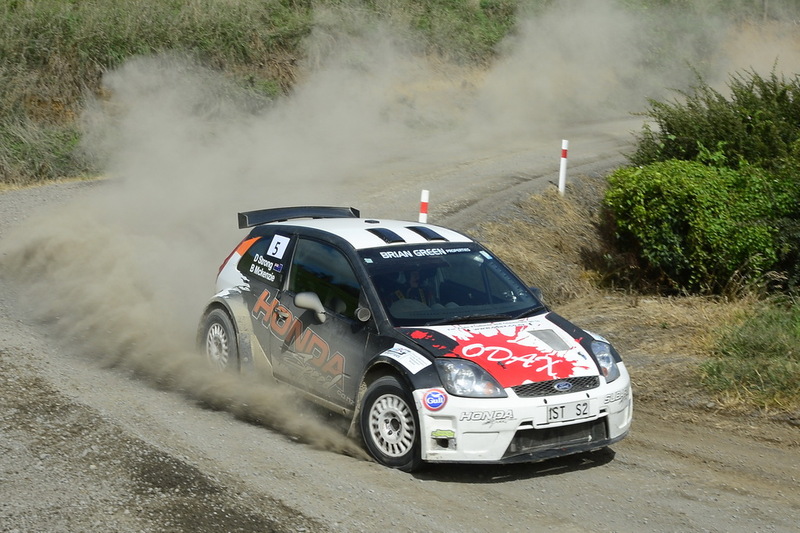 One of only three drivers to be New Zealand Rally Champion in both a two and four-wheel drive car, Stokes has been lured back by the AP4 regulations in what you would expect, a Ford. The new car has been built using a standard 1.6 turbo engine and while it is not expected to be the most powerful of the fleet, it is expected that using an already turbocharged engine should create less headaches from a reliability standpoint. There is no denying Stokes’ talent as a driver, so we can’t wait to see how the former champion gets on at Otago. Dave Strong returns for another season (we’re not going to try and count how many this one is!) in the spectacular sounding Ford Fiesta S2000 with a Honda V6 shoehorned under the bonnet. Along with Bruce McKenzie, the pair pack plenty of experience and nous and that helped them along to a top five finish in the season finale last year. By his own admission, Dave claims the car is fast enough, he’s just too old, but don’t think that won’t stop him from charging hard, and did we mention just how good this car sounds! Last year, Garet Thomas was the talk of the Mainland Rally Series with some spectacular speed in his aging Mitsubishi Evo 1, but this year he steps up to the NZRC with a freshly built Subaru Impreza. Although a large step up, don’t be surprise if he and wife Gemma provide some surprises to some of the more fancied runners in 2018. Also moving into an Impreza for 2018 is Jack Williamson. After two solid seasons campaigning his Suzuki Swift in the open two-wheel drive class, Williamson will take a leap into the unknown in 2018. Unfortunately most of his off-season has been spent wiring new cars for his opposition, meaning his chance to get behind the wheel of the ex-Emma Gilmour, Hayden Paddon, Lance Williams Subaru for the first time will be in Dunedin. Greg Murphy returns for a second season at the sports highest level in New Zealand, again in the sister Barina to Marston. 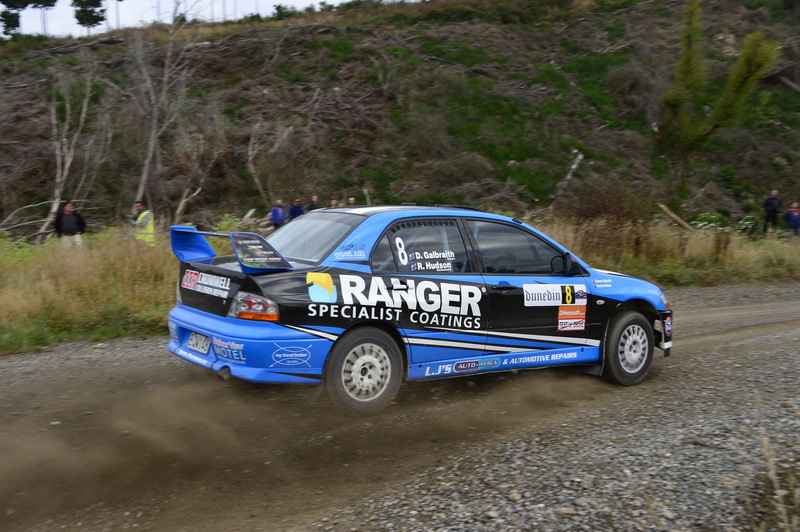 Since we last saw Murphy in Coromandel, 2016 champion David Holder has done two rallies in the car to further development while Murphy started the season off with the Westland Rally. Expect more from Murphy in 2018, while he loves rallying there is no denying he is ultra-competitive and with five rounds this season, he will move forward. Last but certainly by no means least is series sponsor Brian Green. After two seasons in a two-litre Mitsubishi Mirage, Green moves into a full AP4 specification Mirage, complete with 1600cc engine and the lower weight limit that goes with it. The car is the latest in a list of impressive machinery New Zealand Rallying’s elder statesman has run in the NZRC, and we can’t wait to see it out on the stages. While that rounds out the field for the opening round, last minute withdrawls from Phil Campbell in a new Ford Fiesta AP4 and Job Quantock in the Skoda Fabia AP4+ plus rumours linking a return to the championship of the Allport Motorsport Ford Fiesta R5 and expected appearances from defending champion Andrew Hawkeswood and Brendan Reeves suggest that the battle for a spot on the podium will be as hot as ever in 2018.